I'm curious to know how you will patch those pieces. I recently patched up my sons quilt from 2000 (his graduation year). I took apart the binding at different places and just reached in and restitched the seams, which was where most of the problems were. Replacing whole pieces is more difficult. Also, is Giles still dating Miss C? Or is this too personal a question? How wonderful that you and Clara could visit him together. It sounds like you have had a wonderful time. I would love to know how you are going to patch the quilt. I have an older quilt that needs patching. I've always loved that quilt! The linens. 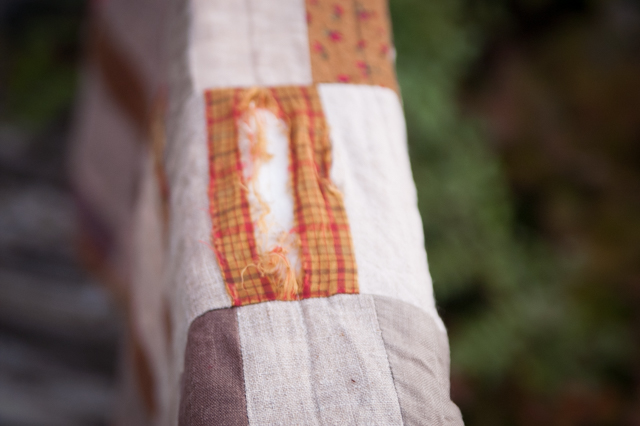 So, how do you patch it - do you just applique a piece over the torn patch? If you are so inclined, would you share how you patch a previously sewn quilt? 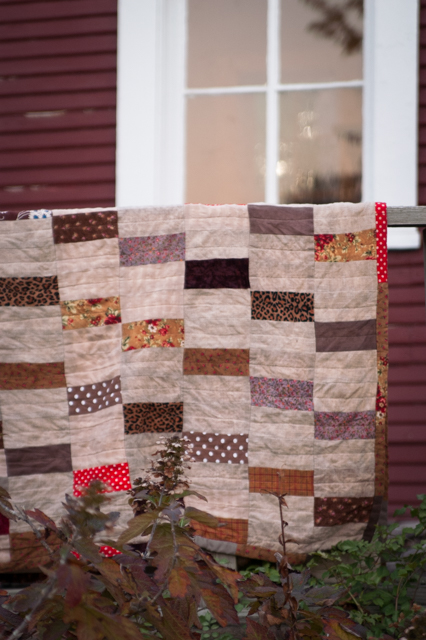 I have one of my grandmother's quilts that is in need of the same thing. I am going to applique over the needy spots. Those fabrics are worn through. Giles is unattached at the moment, but always hopeful!